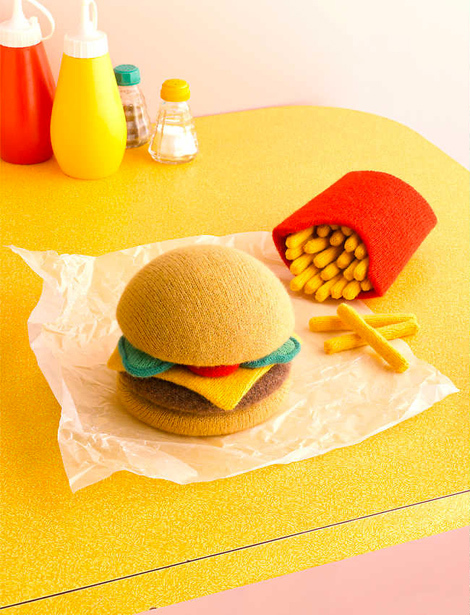 Jessica Dance creates super realistic-looking burgers, English breakfasts, and turkey dinners out of lambswool. 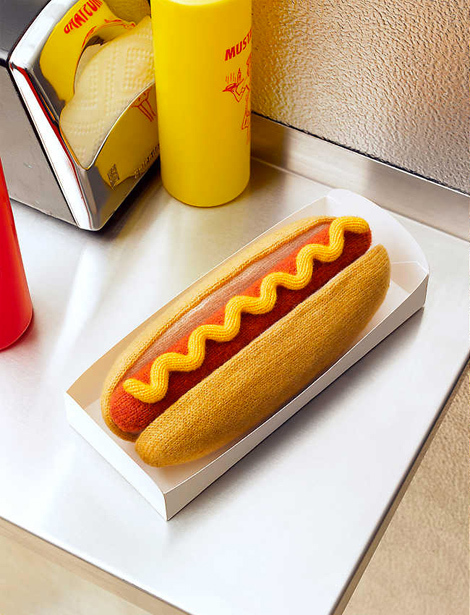 London-based art director and model maker Jessica Dance knits recreations of comfort foods out of lambswool. 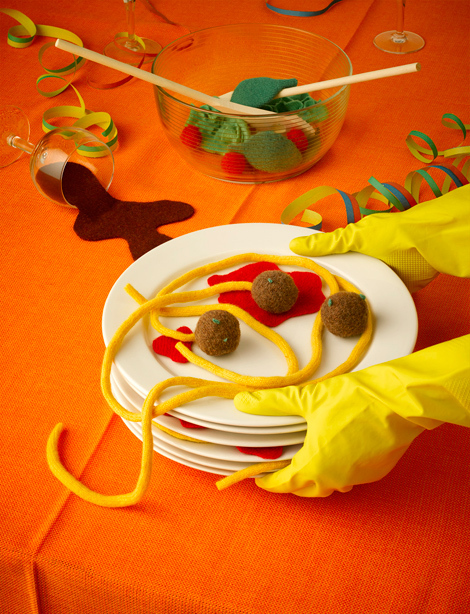 These amazing knitted foods could easily pass as the real thing. 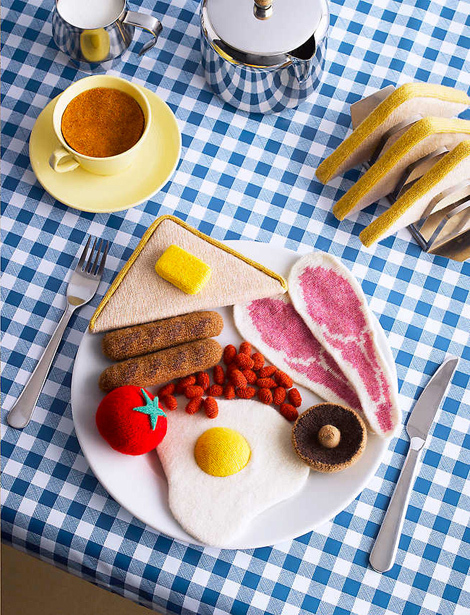 The project, a collaboration with food photographer David Sykes, “Pays tribute to the culinary landscape and ‘diversity’ found in British cafes and fast food restaurants,” reports High Snobiety. 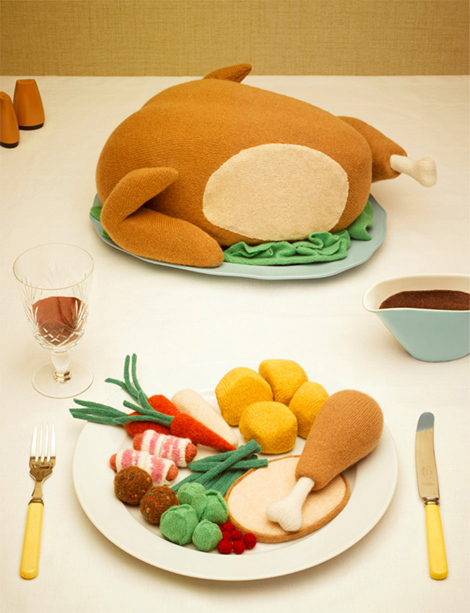 Every small detail is convincing, and we’re surprised how hungry we’re getting looking at these knitted foods.